Something has gone haywire at the Silly Song Warehouse – and one of the beloved VeggieTales silly songs is missing!! Join Bob, Larry, Junior and the whole gang as they attempt to solve the mystery of the Silly Song Swindler while singing and dancing to a truckload of silly songs! Featuring top Veggie fan favorites including “Oh Where Is My Hairbrush”, “God Is Bigger Than the Boogie Man”, “The Pirates Who Don’t Do Anything”, and many more, this high energy show will delight children and remind them that God made them special and loves them very much – no matter what! 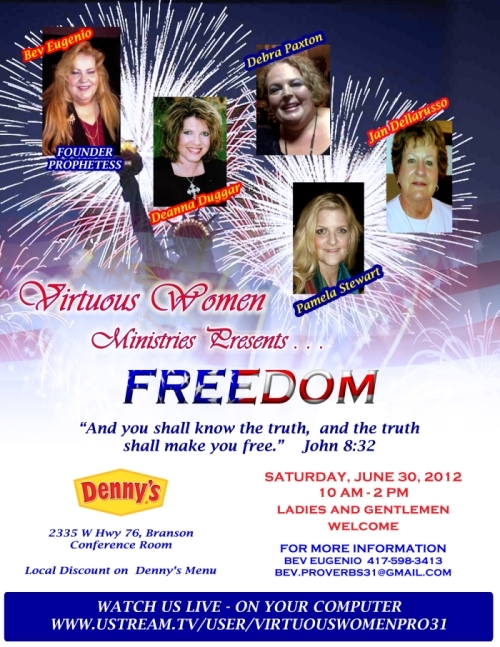 Ticket Price: $15.00 plus tax & a baby item donation. The Mansion Theatre is thrilled to be accepting donations of “New” Baby Items that will be distributed to a local Non-Profit Organization. Examples: Bottles, Bibs, Pacifiers, Baby Care Items, Baby Wipes, Books, Diapers, etc. Call Our Box Office today for Reservations! 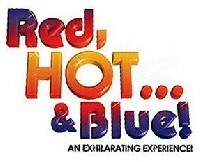 Red, Hot…& Blue! 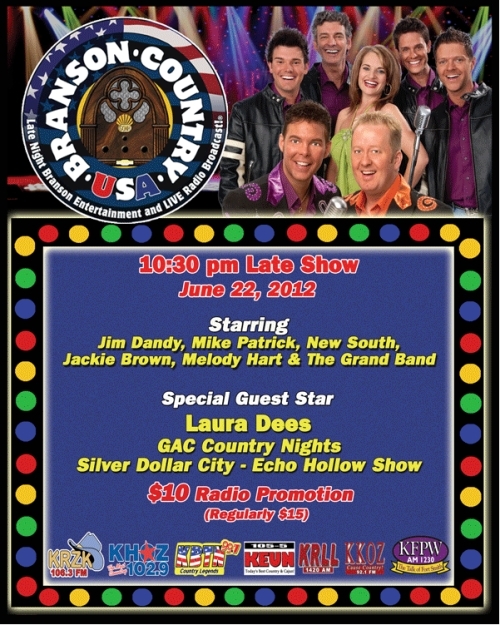 may have been around Branson for 17 years, but this show was actually born in a small college town, Norman, Oklahoma! The producer was and still is Christopher Tucker, and back then the show was known as Christopher & Co., featuring the 1920’s all the way up through the 1990’s! Chris had an eye for perfection and always had a plan for the show to get better than the year before. He met his friend, Tina Cooper, as she was auditioning for musicals at the University of Oklahoma, and soon the two collaborated, making Christopher & Co. one of a kind, with high energy singing, dancing, and even a little comedy! Scott Sartain came aboard after working a summer job with Chris in Shangri-La. The show was a hit in Oklahoma as the cast of six performed for several special events including Miss Norman and Miss OU Pageants, OU School of Music Recruitment Banquets, as well as Family reunions, specialty entertainment at country clubs across Oklahoma, and special performances at Tinker AFB. When graduation took place, the cast separated with hopes of meeting back up to do special “reunion performances”. But little did they know, something much bigger was in store for them! Tina received a job in Nashville while Chris and Scott took jobs on a cruise ship. The next audition took Chris and Scott to the heart of Branson with Radio City and the Rockettes! After much discussion, the two decided to bring back the show as co-producers, and changed the name of Christopher & Co. to Red, Hot…& Blue! Tina came to visit them, and before you know it, the three of them were performing the show that brought them together in the beginning! Red, Hot…& Blue! has been the guest entertainment on several Holland America Cruises as well as toured the USA and has been featured performers with two live symphony orchestras . This incredible show has also won several awards including Best Costumes, Best Breakfast Show, and Best Dancers. If you get a chance, take a morning or afternoon and enjoy this high energy show at The Clay Cooper Theatre! They will have you laughing, crying, singing along, and maybe even dancin’ in your seat as you hear some of the great songs from yesterday! Summer is Officially Here! Low Airfare Rates to Select Destinations! Summer is officially here and we all know what that means…vacation time is upon us! Let us make booking your next trip to or from Branson simple and easy with low low fares to select destinations! Summer is officially here and we all know what that means! Vacation Time Is Upon Us! Fares are low low low to and from Branson making your choice of your next destination for relaxation or family fun simple and easy! Shelly Hampton, owner of Shape Shifters Pilates in Springfield and Branson, is celebrating her birthday with free workshops in both Branson and Springfield. As she begins her 58th year, Shelley wanted to share successful aging and health secrets with her friends and clients. Attendees to these free events will hear presentations on superfood blends that help with cancer prevention, free radical damage prevention and sleep issues – critical components to graceful aging. The presentation by Terra Biotech’s Warren Nugent of Dallas, Texas will be based on research by Dr. Ajay Goel, one of 12 physicians on the World Health Cancer Prevention Board, Dr. Kozlowski, a leading expert on memory, brain health, and dementia, and Dr. Russell Reiter, a melatonin researcher focused on its anti-cancer effects. The program will provide the latest research on superfoods’ impact on blood brain barrier health, anti-inflammatory properties, and sleep. As reported by KY3 on June 24th, research by the American Thoracic Society reports a link between lack of sleep and cancer risk, in that there is a 60% risk increase for breast cancer with less that 6 hours sleep per night. Attendees will get samples of food compounds formulated by leading researchers on melatonin, circumin, and 30 blended synergistic compounds that have been shown to kill cancer cells in Baylor University’s test labs, where the largest bank of breast cancer cells in the world exists. The Branson workshop will be held at 6 PM on Thursday, June 28th at the Shape Shifters Pilates studio located at 2700 Green Mountain Drive. The Springfield event will take place at Noon on Friday, June 29th at the Shape Shifters Pilates studio located at 601 N. National #111. Due to space limitations, reservations are requested and can be made by calling 417-890-6749. BRANSON, MO—June 2012 The Andy Williams Moon River Theatre is excited to announce a “Celebration of Andy Williams’ 75 Years in Entertainment” with seven weeks of stars. The celebration begins September 10th and runs through October 23rd and features superstar performers, who cross all styles of music and entertainment. The guest lineup includes Country Music Superstar Clint Black, Teen Idol Frankie Avalon, Academy Award, Golden Globe and Emmy nominee Debbie Reynolds, as well as Grammy Award winners Jack Jones and Ray Stevens among the group. The Osmonds also return to Branson, as do Pat and Debby Boone who will take the stage together for the first time since 1999, when they performed at the Moon River Theatre. Tickets for all shows are available now online at andywilliams.com or by calling 800-MOON-094. Branson, MO…Connell Insurance, with co-sponsor Apex Physical Therapy, will be hosting their 6th Annual Workers’ Compensation Seminar on Friday July 20th at the Hilton Convention Center in Branson. This free half-day seminar, which focuses on workers’ compensation issues in Southwest Missouri, features two speakers and is now open for registration. Jerry Harmison, a partner in the Springfield law firm of Harmison & Pearman, will discuss recent legal trends and case law that continue to develop in the workers’ compensation courts. HR professionals will learn specific claims defenses and implementation procedures regarding admissible defenses provided by recent court cases. Andy Vitale OTR/L is a Certified Functional Capacity Evaluator. He will focus on recent developments with the ADA and EEOC and the importance of professionally developed functional job descriptions. Mr. Vitale will stress that documenting functional job descriptions and incorporating them into written job descriptions will increase the effectiveness and legal compliance of preventions, injury management, and return to work programs. This information will prepare HR professionals to understand how these job descriptions can be utilized to make valid employment decisions involving placement and work injury management. This event has been pre-approved for 3.0 hours of continuing education credit for HR professionals who are PHR or SPHR certified. For more information and to register for the seminar, visit www.ConnellInsurance.com or call (417) 334-2000. Each summer Jesus Was Homeless sees a spike in need due to the fact that kids are out of school and not receiving school lunches. This summer you’re invited to help support Jesus Was Homeless by participating in the CenturyLink Backpack Buddies Feed the Children Food Drive. This is a community service project to help fight childhood hunger in CenturyLink markets. Join us and be a CenturyLink Backpack Buddy! The CenturyLink Clarke M. Williams Foundation will match all donations given through this drive at $1 per pound up to 1 million pounds total. If you choose to make a monetary donation, every dollar donated will be calculated as 6 pounds and will be matched with a $6 donation to Jesus Was Homeless up to 1 million dollars company wide. Your donations will help Jesus Was Homeless meet the growing need right here in the Branson community. Donate at the CenturyLink Retail Store: Bring non-perishable food items to the CenturyLink Retail Store located in the Gretna Plaza on Hwy 248, next to Arvest Bank, Monday-Friday 10:00 am – 6:00 pm. Donate directly to Jesus Was Homeless: Write a check to Jesus Was Homeless or donate on-line at www.jesuswashomeless.org the week of June 25th-29th.